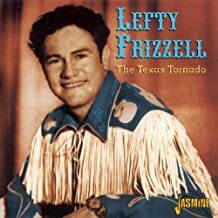 In the history of country music Lefty Frizzell is one of the most influential singer-stylist. He learned to play the guitar at a very early age and learned every song of his hero and greatest influence Jimmie Rodgers. By the age of twelve he had his own spot on a children's show at a local radio station. Lefty signed with Columbia Records at the age of 22 releasing "If You've Got The Money Honey, I've Got The Time" and "I Love You A Thousand Ways" and it wasn't long until he owned the charts as his hits kept coming. Having four songs in the top 10 at the same time is a feat that has never been duplicated to this day. His career was cut short when he passed away at the age of 47. How we appreciate the many wonderful old songs he left us with to enjoy over and over.